A swarm of earthquakes that rattled the Salton Sea area earlier this week has increased the probability of a major quake hitting Southern California. 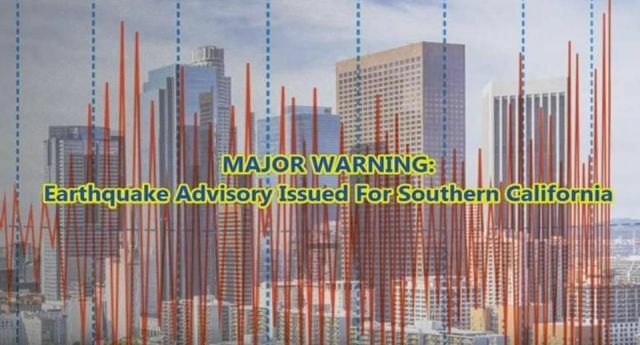 The California Office of Emergency Services (OES) issued an earthquake advisory warning residents and officials in Ventura, San Diego, San Bernardino, Riverside, Orange, Los Angeles, Kern and Imperial counties that there was a greater possibility of a major earthquake through Oct. 7. Scientists say some of the cross-faults are positioned to potentially add stress to the San Andreas fault and the San Jacinto fault system when they rupture.